If you rebook your next appointment on the day of your last treatment, we’ll apply a 10% maintenance reduction to your bill as long as you’re planning to return within 6 weeks for the same kind of treatment (e.g. 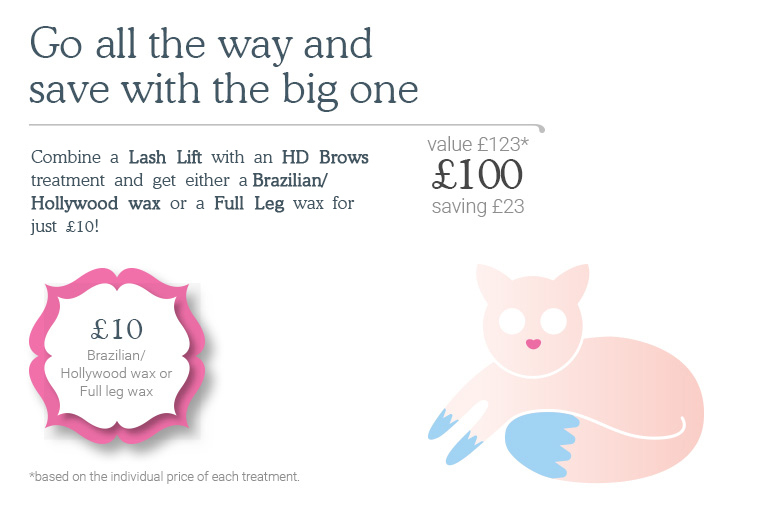 another Brazilian wax or another HD Brows appointment) and your appointment is Monday-Friday before 4.30pm. 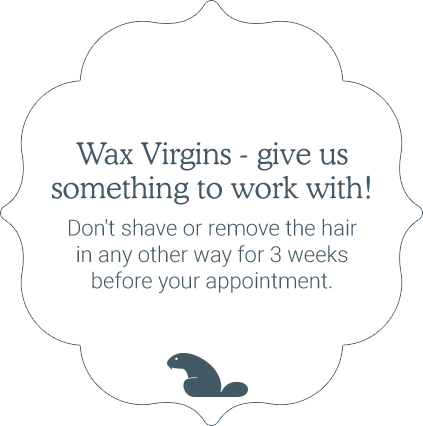 Everyone’s a winner with this deal; waxing regrowth is so much quicker and hurts so much less than waxing full growth and you get to save money in the process – you’d be mad not to get nkd again within 6 weeks! As an added bonus, all clients who do rebook on the day of their last treatment will automatically get entered into a monthly prize draw to win their next treatment back free of charge. We choose a winner at random each month so remember – you’ve got to be in it to win it! Recommend your friends to us and reap the rewards! 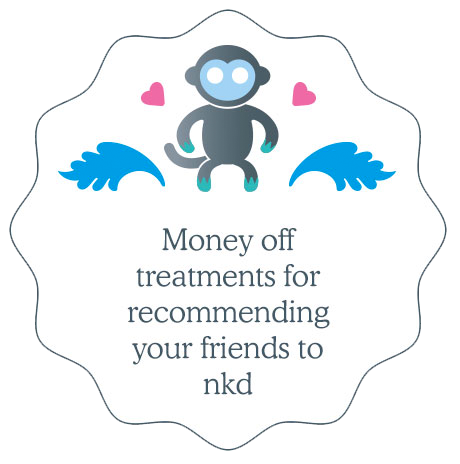 We’ll give you a whopping 25% off your next treatment for every friend, colleague or family member you recommend to us who subsequently comes in for a treatment (that person must obviously be a brand new client to nkd). As an added bonus, the new client you send our way will get the same generous 25% discount off their first treatment as well. If you just love HD Brows or Lash Lifting, why not purchase a mini course and save yourself up to £80.00? 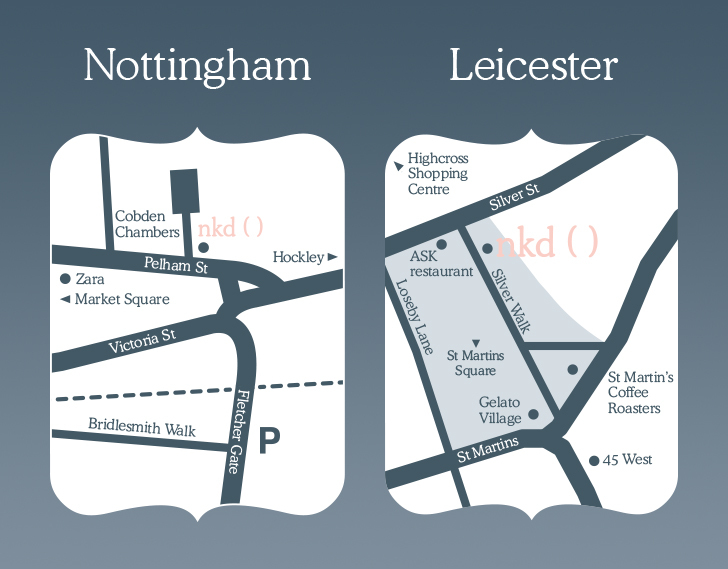 (£40.00 saving) A course of 4 HD Brow treatments, valid for 5 months from purchase. With this package, each HD Brow treatment will cost you £25.00 compared to the standard price of £35.00, resulting in a cost saving of £40.00 to you. (£80.00 saving) A course of 6 Lash Lifting treatments, valid for 12 months from purchase. With this package, each Lash Lift will cost you £41.67 compared to the standard price of £55.00, resulting in a cost saving of £80.00 to you.